Bethanne has been a practicing clinician since 1990 and has worked in a variety of settings that include: pediatric outpatient rehabilitation; acute care, including the Neonatal Intensive Care Unit; Neonatal follow-up clinic; home based treatment and private practice. In 1995 she received her certification in Neuro-Developmental Treatment and is currently completing her work to become a Speech Pathology instructor for the Neuro-Developmental Treatment Association. Bethanne’s primary clinical focus has been working with the pediatric and young adult populations with neuromuscular and musculoskeletal involvement. Her treatment areas of expertise include feeding and swallowing, motor-speech, early communication and respiratory/phonatory disorders. She values collaborative work with other professionals and appreciates multi-disciplinary approaches to treatment. Over the years Bethanne has utilized many treatment models of practice and advocates for dynamic, problem solving approaches. She is continually looking for new ways to provide efficient and functional outcomes to the varied and diverse populations that she serves. She is certified by the American Speech Language and Hearing Association (ASHA). In addition to NDT, Bethanne is also certified in Vital-Stim for Dysphagia and the SOS Feeding Approach. 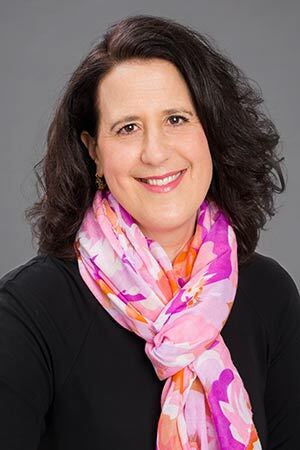 Throughout her professional career she has supervised graduate level students during their externship placements as well as having supervised many Speech-Language Pathologists during their Clinical Fellowship Year. She has presented at the local, state, national and international levels on issues relating to respiratory/sound production; swallowing function and feeding issues; early communication and speech/language development. Bethanne has been employed at UWM since 11/1/17. Concurrent to her employment at UWM, she continues to work at Curative New Berlin Therapies on a limited basis, treating infants and children as well providing consultative services. She enjoys having opportunities to teach other health care professionals and is looking forward to teaching more in the near future. In her new role as a clinical professor Bethanne hopes to bring her many years of professional experience, her love of teaching and her passion for the field of Speech Pathology into alignment to help ready the next generation of Speech Pathologists for their careers while inspiring them to make a difference in the lives of the clients/patients that they serve. Regi Boehme Scholarship Award (2017) Neuro-Developmental Treatment Association.